Flying geese arranged in a Dutchmen's Puzzle block creates this star and pinwheel patchwork quilt. 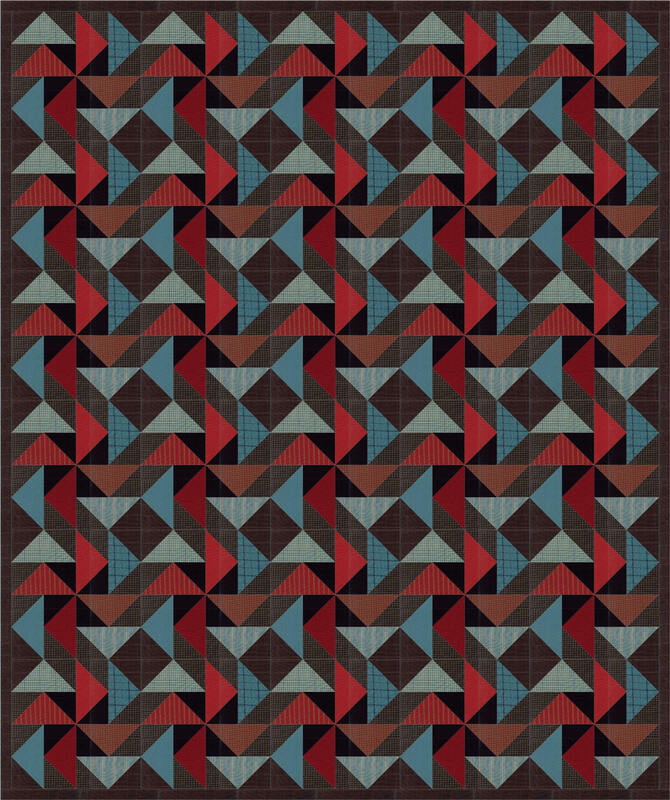 This pdf quilt pattern lends itself well as a man quilt. Perfect for the guy in your life. Throw quilt 62" x 74"